Our most popular ornamental grass, Little Bluestem is widely used in landscaping because it is short and mixes well with many wildflowers. The colouration of the leaves ranges through a variety of blue and green hues, which complement one another nicely. These turn a striking bright red in fall and are topped by fluffy silvery-white seedstalks. A patch of Schizachryrium scoparium waving in the wind is a truly wonderful sight! 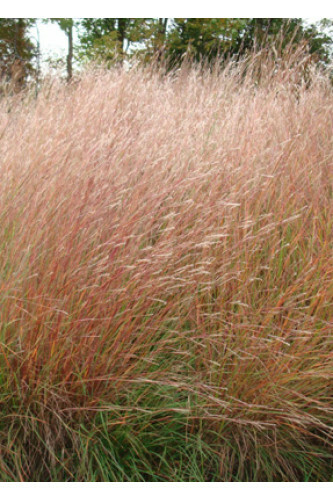 For a solid stand of Little Bluestem plant at a rate of 5 KG per acre.